75% RDA iron from a fish? I recently posted a photo of a cast iron pan on Instagram, sharing that it’s one of the ways I boost my meagre iron supply; something I learned from Dr. Fuhrman, author of my nutritional bible, “Eat to Live.”. According to an emerging body of research iron accumulation may contribute to diabetes, ageing, strokes, Alzheimer’s and Parkinson’s . So I was super excited when a reader introduced me to the Lucky Iron Fish. I do not have any kind of affiliate deal with the company and this is not a paid post – just sharing something cool I’ve tried and loved! 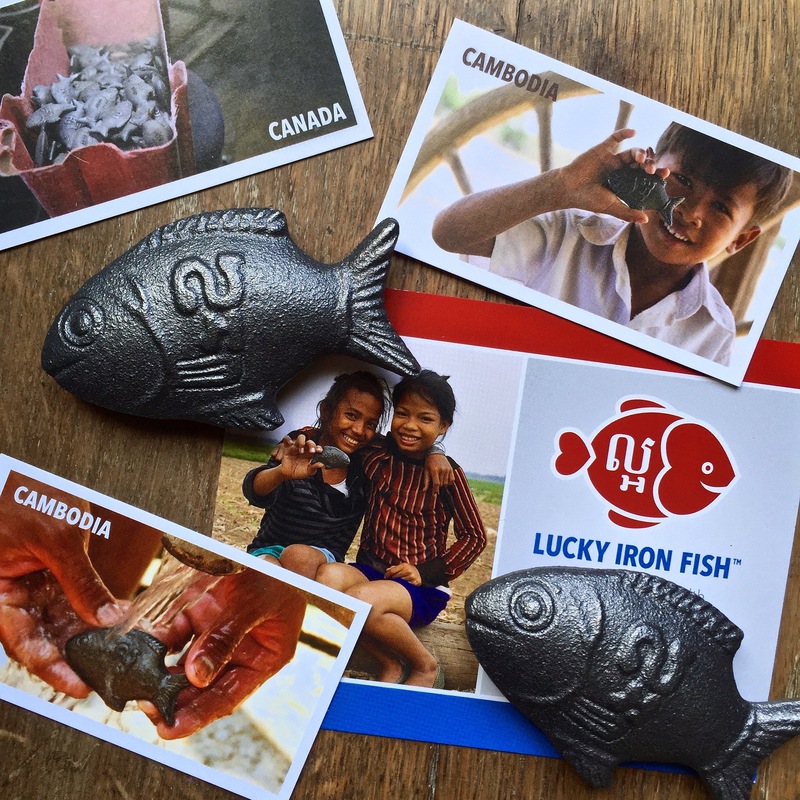 Created by a Canadian company, these little natural ferrous iron fish fit comfortably in the palm of the hand and can simply be plopped into any pot of food that has some liquid and something acidic (like lemon) in it, to release the iron, and boil for 10 mins. Or make your own iron rich water by boiling and cooling to drink. 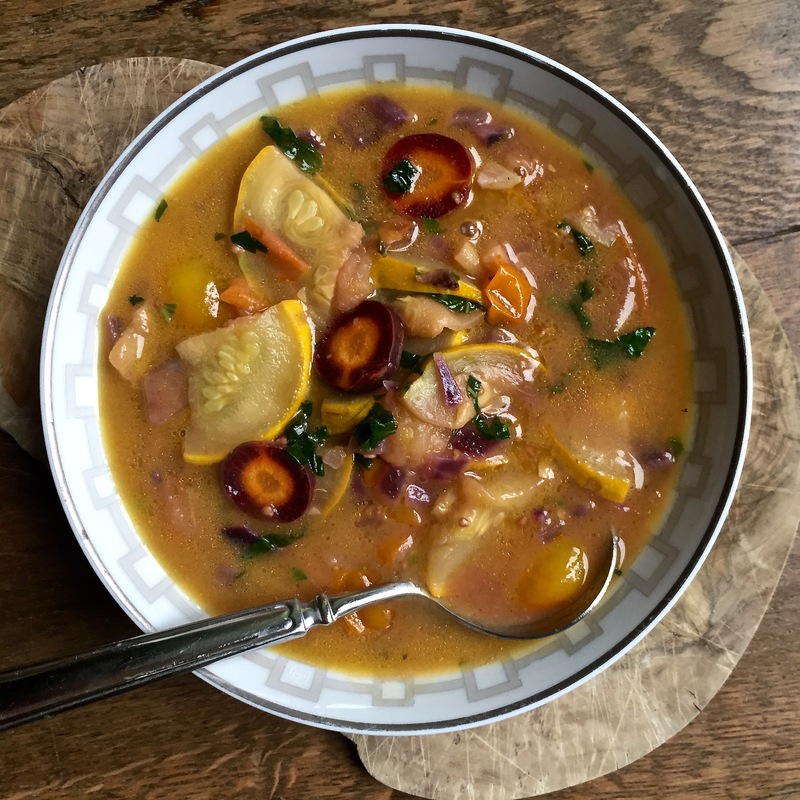 I went for the former: I added the fish to a lovely soup (recipe tomorrow) and didn’t notice any overt taste. The fish is so small I can just toss into my handbag on trips and I love that for every sale made the company donates a fish to a Cambodian family in need (where one of the factories is based). The company stresses that their product is monitored for purity and that it can provide up to 75% of the required day intake of iron for women (read more here in their FAQ). Something I do need given that I eat a primarily plant based diet.